Rare davenport model with 3 car garage in tarpon point. Completely remodeled!! New new new! Kitchen features quartz cambria counters, soft close dove tail modern cabinetry, glass tile back splash, graphite stainless steel appliances. Italian porcelain 3 foot x 3 foot tiles in linen color throughout the entire home -including the lanais! Stacked stone columns in the great room with flush mounted fireplace, crystal ceiling fans throughout with retractable blades, 8' solid core doors throughout! Master bath features dual vanities, waterfall accents and body wash sprays in shower, led vanity mirrors, automatic remote toilets. Huge custom designed master bedroom closet. All bedrooms feature private baths and custom closets. 2 new ac units and air handlers. Enter from your private 3 car garage into the elevator that is inches away from the garage door and go directly to your beautiful foyer with double entry doors. 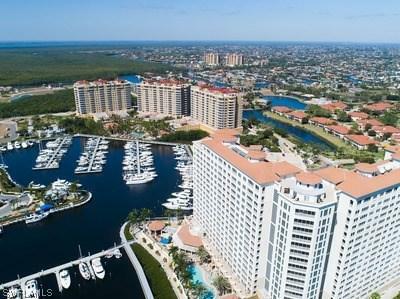 Upon entering this unit, you will see sweeping vista views of the inter coastal waterway and the marina. Walk to different restaurants. Take a boat shuttle to the beaches. Amenities; fitness center, tropical pool area with lush landscaping, tennis, on site marina and more! Fantastic view of the marina, intra-coastal waterways, and neighboring islands. This unit has everything. Wood floors, crown molding throughout, wet bar, and custom lighting and finishes. 18 seer a. C. Unit and a separate water filtration system. New granite in kitchen, thermadore induction cooktop, stainless steel refrigerator, convection oven and microwave. Master suite has water views and two walk-in closets. The guest rooms and den access a large open lanai, private 2-car garage and resort-style amenities. Three car private garage! It is rare to find a 3 car private garage with a condo, but here you get a luxurious 3,048 sq. 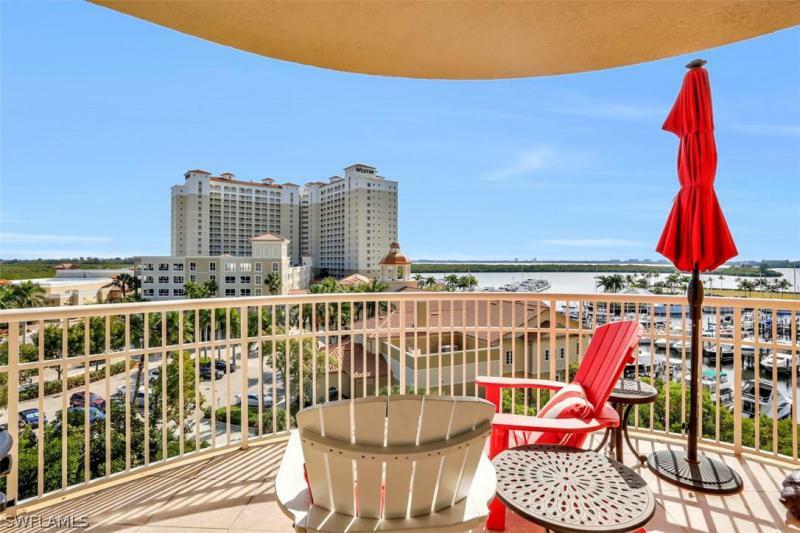 Ft. Suite with private elevator located in sw cape corals most prestigious development tarpon landings. 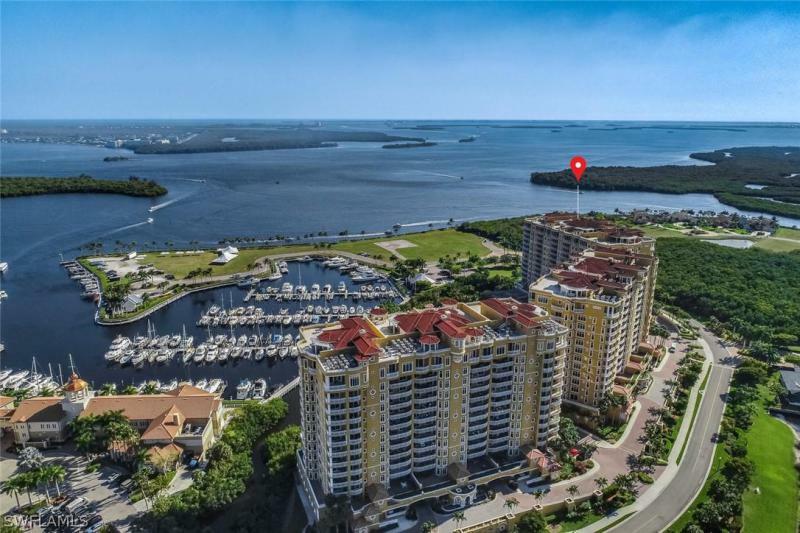 Located right on the caloosahatchee river this stunningly designed suite offers you true luxury resort living with the most amazing sunrise and sunset views. The owners invested nearly $150,000 in upgrades including a chiefs kitchen with upgraded appliances throughout. This is a split bedroom plan where all three bedrooms have their own en suite. There is also a den that can be used as a fourth bedroom with a half bath across the hall. Here you can enjoy the salt life, kayaking, boating, beaches and some of the nations top state parks. You have the tarpon point marina in your back yard and the community is very pet friendly (2 pets, no wt. Restrictions). This boaters dream is located only minutes from cape corals entertainment district and a short drive to fort myers. There is an optional large pool cabana sold separately for $65,000. So, whether you are looking for retirement home, vacation home or primary residence, you have found the right place.